Replacing Bakelite block capacitors is the most frequent inquiry from my kind visitors. Bakelite, "The material of a thousand uses," as it was called, made a splash in the 1920s, '30s and '40s. Bakelite combined carbolic acid and formaldehyde to produce a versatile substance such as phenolic resin or "Bakelite," a revolutionary, non-flammable, early plastic. 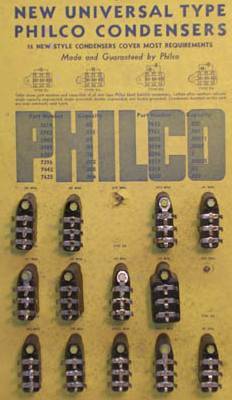 Philco utilized the Bakelite block condensers (in the vintage vernacular) throughout the 1930s. It is a feature unique to Philco. You can reference other sites that deal with the subject (RELATED LINKS). I thought, as a newbie to the hobby I would provide my perspective. DO NOT START WITHOUT SPECS. such as this reference by Ray Bintliffs, Philco Condensers and More 2nd Edition, available through Antique Electronic Supply. The underside of this cap has not been seen in 70+ years. The caps are sealed in a hard wax/tar mixture with the approximate hardness of ice. 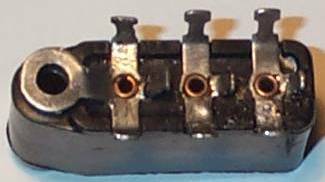 Old connections are de-soldered, wire brushed, and ready for new caps installation, sealing, and re-installation into the circuit. 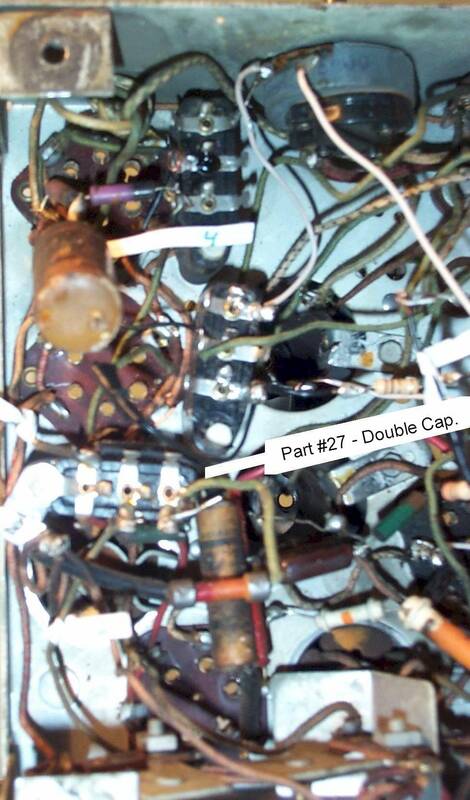 "How can I tell if a Bakelite capacaitor is bad". Answer, Do not bother checking, assume it is bad if you are even semi-serious about the restoration. "Why not just wire a new capacitor in its place? 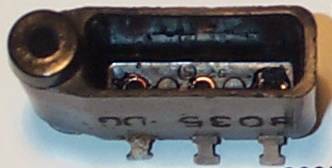 Why bother hiding new capacitors inside the old component?" Answer, That is fine as long as you simply want to REPAIR the set. RESTORATION is the reason for this effort. This is OEM part number 27 on a 1935 Philco model 60 chassis. 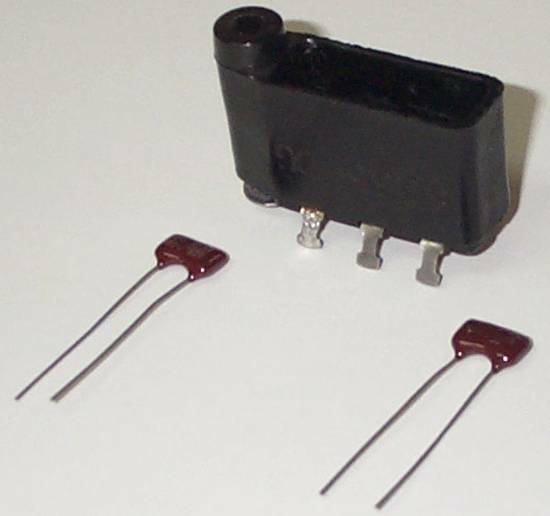 This Bakelite block capacitor is a double capacitor housing two .00011 microfarad caps. With the filler partially removed the, in this case, two old caps become visible. The method I prefer to remove this mess is to CAREFULLY pick it out with a small screwdriver. Heating is a mess and leaves residue. Cooling the cap to make the sealing more brittle will do the same for the Bakelite. The picking-out method takes about five minutes yet should be done carefully. 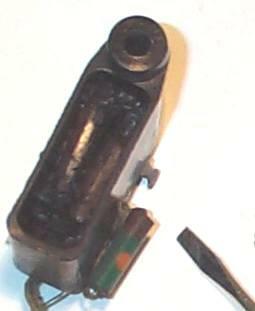 Bakelite, especially in a 2-inch component, is somewhat fragile. New caps have arrived. 100 picofarad - 600 volt caps are used. As is often the case, the original values are no longer available. Substitution is an area that may require some technical verification; please ask! The Bakelite cap is ready for re-stuffing. and the Bakelite shell is filled/sealed with hot glue. 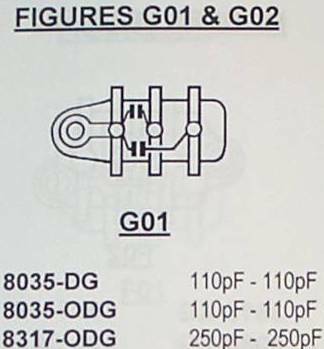 The component is now ready for reinstallation into the circuit.